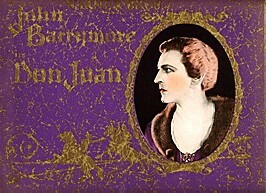 Notable as the first feature-length film with synchronized sound effects and a musical soundtrack, Don Juan stars the iconic John Barrymore as the legendary lover and Mary Astor as the lithe and lovely Adriana. Set against the power struggles and intrigue of the House of Borgia's, Don Juan romps about, setting all female hearts aflutter. With his faithful servant, Pedrillo, keeping a tight daily schedule, Don Juan manages to fit in a handful of willing lovers throughout the day. The film opens on the Don as a young boy, who witnesses his mother's infidelity and his father's wrath. This episode in Don Juan's early life causes him to view women with little trust, and he seems hell bent in proving to himself that all women are easily won with the right pick-up line and a well-planted kiss. Of course, the virtuous Adriana finally cracks the Don's crusty exterior and he becomes a believer in true love - but not without a stirring fight scene, poisonings, and 191 kisses! A fine supporting cast of Warner Oland, Estelle Taylor, Montagu Love, Myrna Loy, and Willard Louis, together with the experienced direction of Alan Crosland (The Jazz Singer) makes Don Juan a great viewing treat for all cinephile fans. Known as the "Great Profile", John Barrymore's famous face gets displayed to its greatest advantage in one of his most popular film roles. 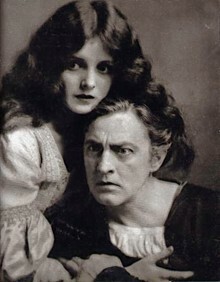 The Barrymore name is part of a family dynasty reaching back four generations, to include stage and film stars such as Lionel, Ethel, and current film star Drew Barrymore. [his last words] "Die? I should say not, dear fellow. No Barrymore would allow such a conventional thing to happen to him." Mary Astor's Oscar-winning career spanned almost fifty years of silent and talking films. Perhaps best known today for her work as Brigid O'Shaughnessy in John Huston's The Maltese Falcon and her Academy Award role in The Great Lie, Ms. Astor's Adriana, opposite John Barrymore, was the coveted screen pairing of the decade. Mary was never a romantic when it came to her career, however. Of it, she said, "There are five stages in the life of an actor: Who's Mary Astor? Get me Mary Astor. Get me a Mary Astor Type. Get me a young Mary Astor. Who's Mary Astor?" Luckily, we have Don Juan to fully appreciate her, yet again, courtesy of the Warner Brothers Archive Collection!